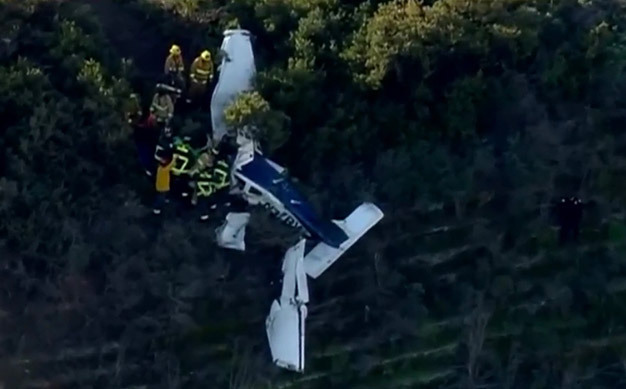 Oceanside, CA (January 29, 2019) – the Federal Aviation Administration has announced that a small plane has crashed into a hillside in Oceanside, a coastal community in San Diego County Tuesday morning, January 29th. According to reports, 1 person was found dead with another trapped inside the small single engine aircraft. The crash was reported to local authorities just before 7:30 A.M. on Canyon Drive near State Route 76. An aerial view of the crash from a local news station chopper shows the wreckage just below the crest of a ridge. The FAA and National Transportation Safety Board will investigate. No more information was made available at this time.